I’ve already suggested that the answer is “yes.” Now, the National Review asks the same question. See full article here. Among the beneficiaries of this invigorated sense that no seat belongs to an individual or his party, regardless of rank, tenure, or his family’s place in the American imagination, is Sean Duffy, a Republican running for Congress in Wisconsin. This 38-year-old father of five, currently serving his fourth term as Ashland County district attorney, is effectively reminding Democrat David Obey, chairman of the House Appropriations Committee (who was first elected to the House of Representatives in 1969, before Duffy was born), that his congressional seat is not his, but the people’s. This former reality-TV star — Duffy and his wife, Rachel, were both cast members of The Real World — may benefit from the new real political world created by the election of Scott Brown. Go to the article to see a short interview with Duffy. The more national press for Duffy, the better. As far as I’m concerned, this is a national campaign as much as it is a local one. Yes, I live in District 7, and there are local issues. Many of these are important. But there is too much at stake at a national level to ignore that element of it. Obey is one of the drivers of economic policy and spending that is affecting all of yus – not just those in District 7. Q: What does Senator-elect Brown mean for your race? A: If Scott Brown can win in a state that President Obama won by 26 points, I can win in a district that Obey won by just 20 points against an unknown, underfunded challenger in the Democratic landslide of 2008. It means there is not a single Democrat in the country who is safe. And, as the author of the failed stimulus bill, David Obey will be at the forefront of the debate about jobs, the economy, and wasteful government spending. If he continues to tax and spend our country into bankruptcy, he’s going to get Coakley’d. Q: What are you hearing most on the trail? A: People want a job and a paycheck. People want real answers, not more political spin and inaction. They want government to live within its means and to stop intruding into their daily lives. Voters want to remain in control of their lives and health-care decisions, and they want a congressman who will bring common-sense Wisconsin values to Washington — not the other way around. Unfortunately, Dave Obey represents all that is wrong with Washington. Q: What’s the most important lesson of this race? A: Presented with a clear choice, Americans reject the fiscally irresponsible agenda of Obama and Obey. Q: What are you offering the voters instead? A: We are running on a message of free enterprise, job creation, and fiscal responsibility. My philosophy is resonating with Wisconsin voters. We had been encouraged a year ago by Mr. Obama’s selection of Illinois Congressman Rahm Emanuel as his chief of staff because we thought he would have learned from the Clinton failure of 1993-1994 and knew enough to stand up to the Congressional left. How wrong we were. Mr. Emanuel and his boss have instead deferred to Congress’s liberal barons on every major domestic policy. These committee chairmen are all creatures of the Great Society and what was called the New Left of the 1960s and 1970s. They have spent their lives in government and know almost nothing about the private sector or how to grow an economy. They view the Reagan era as an historical aberration, and they have stayed in Washington for decades precisely in wait of this moment to realize 40-years of pent-up policy ambition. They believe this is their 1965, or 1933. While Mr. Obama campaigned as a young postpartisan Democrat who wanted a new era of comity in Washington, his victory has instead empowered these ancient left-wing warriors. These are the men who have run Washington this past year, and they are Mr. Obama’s de facto cabinet. And who is one of these ideologues? Wisconsin’s David Obey, elected in 1969, is the House Appropriations chairman who steered the $787 billion stimulus to focus on Medicaid expansion and other transfer payments that have done nothing for economic growth. It is the combination of all of these and other policies that has ignited the political revolt we are now seeing in Massachusetts, and first saw last November in Virginia and New Jersey. Had Democrats modified their agenda to nurture a fragile economy and financial system, they could now claim their policies worked and build on them later. Instead, their frenetic agenda has frightened voters and businesses about the vast expansion of government power and enormous tax increases to come. The resulting uncertainty and the anticipation of higher costs for labor, taxes and energy have undermined what ought to be a more robust pace of job creation and overall recovery. The lesson of Mr. Obama’s lost first year is that an economic crisis is a terrible thing to exploit. As they have each time in the last 40 years that they have had total control of Washington, Democrats are proving again that America can’t be successfully governed from the left. And if America can’t be governed well from the left, and Obey is one of the entrenched 40 yearers driving this failed agenda, it’s simply time for him to go. What can we take from something that happens in Massachusetts? Quite a bit, actually. Lesson: If a Republican can actually win a seat in a Democratic stronghold – a seat held by Democrats for nearly 60 years – then it can happen here. It won’t come easy. Scott Brown rode a wave of discontent, and was a gainst a Democratic candidate who, by all accounts, did not run a strong campaign. But even so, he won by getting out there and working hard, and the message he presented was a conservative message in large part. OK, let’s not appoint him a savior or anything… there are some issues where he is center to left, but the key issues that were the focus of the campaign were clearly conservative versus liberal in nature. And the conservative won. Lesson: No matter where you are, or who you are running against, it is best to stay true to your core principles and not water them down. Sure, you need to present them well and make the case for why those ideas make sense, but you don’t run from them. So, can it possibly be that a Congressman who holds a powerful seat in Washington, and who has been there for over 40 years, can be beaten? How? Well, first we need to be respectful and honest. Clearly, Dave Obey once represented Wisconsin interests well. You simply do not remain in office as long as he has without there being a reason for it. I may not agree with many of his policies or ideas, but many here did. There is no reason to demonize him on every issue. However, it is quite fair to point out where he has gone wrong. The fact is that Dave Obey last met any reasonable challenge 12-14 years ago against a candidate named Scott West. I know Scott, and he’s a good guy. He would have been a fine COngressman. He had a good message and worked hard, and it is the closest race I can ever remember against Obey. Having said that, he was not all that dynamic. But there was still a positive response to his message. Had he presented more charisma, I think he could have won. Plus, that was during a time where Obey hadn’t really done a whole lot to irk people, other than policy differences. Since then, there has been no serious contention for his seat. Truth be told, prior to that race, there had been no serious contention for years. In fact, I’m 42, and in my memory, that is the only close race I can remember for this seat. That may be refelctive of Obey’s strengths, but it is just as much a factor of weak candidates due to a perception of invincibility. I believe that times have changed. 2009-10 has brought general discontent with trillion dollar stimulus packages and health care reform. Dave Obey cannot hide from his part in this mess – in fact he assisted the drafting of the stimulus package, enriching his son’s department a mere $3 billion in the process. Massachusetts voters – and I believe thinking people everywhere – are not in favor of the health care overhaul. Add to that some general issues that simply does not reflect his constituents: general tax policy, social issues such as abortion, etc. and the time has come where people who are paying attention will recognize that he is not representing Central Wisconsin, but instead throwing his lot with the Democratic machine. Sean Duffy provides us with an option, possibly unlike any other in my lifetime. Younger blood, energetic, truly representative of central Wisconsin values, a bit of star power, good presence, and a beautiful family to boot… it is time for real change in our district this coming November. For those of you who are not from Wisconsin, this race could have national implications, and support from a broad base is needed. We’re talking about the possible ouster of a very key House Democrat here, currently the chair of the Appropriations committee. How sweet would that be? And believe me, this is possible. If you don’t believe it, take a look at Massachusetts. It was the vote heard ’round the world. Last night, in the place where freedom in America was born, Scott Brown stunned the political establishment to become the 41st vote against the Democrats’ stranglehold on Washington. Scott Brown’s election, to Ted Kennedy’s seat no less, was a decisive rejection of the government’s takeover of health care and Washington’s disastrous spending spree. Here in Wisconsin, we are challenging our own 40-year political machine. Dave Obey first came into office the last time Massachusetts had a Republican Senator. And with your help, he will leave office this year in an historic sea-change election. Let’s show Dave Obey that Massachusetts was not just a blip on the radar or a bump in the road. Today, we can show him that no Democrat is safe — and especially not the one who has been responsible for giving us trillions of dollars in new spending, waste, and debt. Please contribute $40 to end Obey’s 40 year reign. We are strongly positioned to give Dave Obey the race of his life and end his political career this November. The Wall Street Journal recently featured our campaign as the leader of the “new Young Guns” who are fighting to clean up Washington and end the creeping march of government intrusion in our lives. In Massachusetts we fired the first shot, but the real battle lies ahead. Help me defeat the Appropriations Chair and secure another historic victory for our party and our country. Click the link above to contribute. 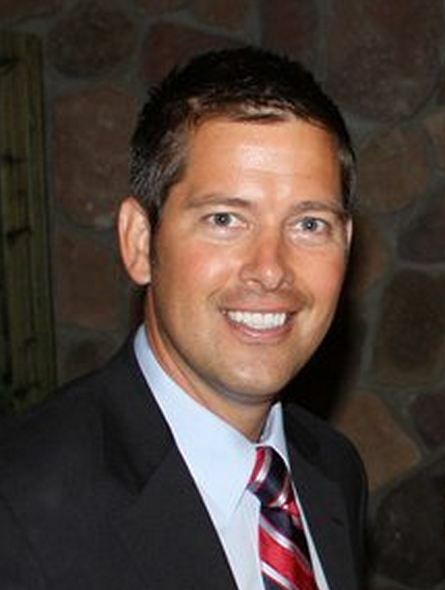 Through the tall trees of northern Wisconsin, Republican Sean Duffy is stalking a giant. The 38-year-old district attorney is talking fiscal responsibility, job creation, entitlement reform. He’s scoring Washington for higher taxes, and for a health-care takeover. He’s Facebooking and Twittering. He comes across as a serious yet positive reformer, a combo that has caught the public’s eye. He’ll need that eye, and more, since his Goliath is one David Obey, Democratic head of the Appropriations Committee, the liberal bull who has occupied Wisconsin’s Democratic-leaning 7th congressional seat since before Mr. Duffy was . . . born. Seriously… Hope and change people… Put your money and vote where your mouth is. Obey may have at one time served Wisconsin well, I suppose. But the term “Power corrupts, absolute power corrupts absolutely” is appropo here. Nepotism in the gargantuan stimulus bill is a major issue, but he simply has strayed from Wuisconsin values. Wisconsinites in District 7: don’t allow yourselves to be bought. Don’t exchange principle for the promise of earmarks – pork – the purpose of which is to buy votes. We’ve been prostituted long enough. Time to put principle on the front burner: Support Duffy. At the very least, check out his site: http://duffyforcongress.com/. I don’t really do facebook or twitter, but apparently he’s active on both, so look him up there as well.